Red Brick Childcare is a place where you can watch your children love, learn, live and grow. Hello, my name is Tinia and I am the owner of Red Brick Childcare. 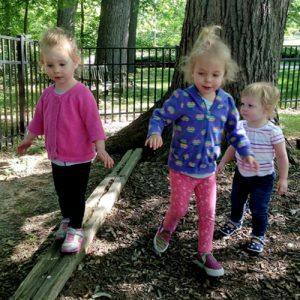 I am a highly experienced licensed family childcare provider through the State of Ohio, with a love for working with children of all ages. There are many forms of learning, and I believe children learn best through repetition and while at PLAY. Explore! Children are naturally curious and their exploration of the world around them encourages them to ask questions and to share their discoveries. 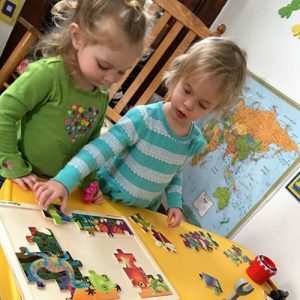 Structured play gives children an opportunity to focus on solving problems and to learn how to work together, communicate and share. Nutrition is the foundation for growing minds and bodies! 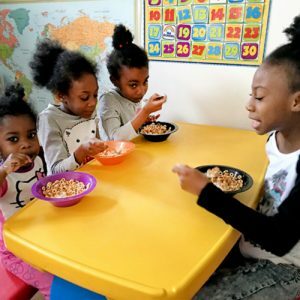 Red Brick Childcare follows USDA Food Program guidelines. Meals and snacks are provided. A loving and nurturing environment for all children. I can’t say enough good things about this wonderful place! Enrollment is always open and availability is based on a first-come, first-served basis. To get started, use the form here to schedule a tour, learn more about our programs, and meet with an administrator. We look forward to meeting you! If you have already met with an Administrator and are ready to enroll now, please go to our enrollment page to download the required forms. Red Brick Childcare, LLC is licensed in the State of Ohio by the Ohio Department of Job and Family Services (ODJFS) to provide Family Child Care services.